Key Difference: The ‘Mission’ is about purpose. It is a purpose for which a person or group of people is sent. ‘Vision’ means the ability to see, or plan something for the future. It is an image that you want to create. Mission and Vision are always the two confusing components of strategic statements. However, there is a vast difference between Mission and Vision. 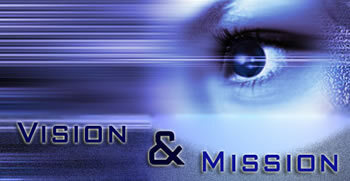 Dictionary.com defines ‘Mission’ as, “a group of committee of persons sent to a foreign country to conduct negotiations, establish relations, provide scientific and technical assistance, or the like.” Mission is an important goal or a function that is accompanied by strong conviction. Mission is always seen in one who wants to create a better out of it. They want to develop and create a better world. It is a present state or a purpose to complete a task. There is a simple saying that if one cannot tell about its ‘reasons of existing’ (Mission), ‘what will be its future’ or ‘where is it going’ (Vision)? One should anyhow strengthen their culture through a unified sense of purpose. They should improve decision making with making a clear picture and align people, processes, products or services towards a successful future? Vision is always a future-oriented program. It is an image that what you want to create. It is not about an individual’s image, it is about what they want to become. Vision should be greater than goal and to have a vision, one has to visualize and imagine a lot of things. The Greek word /horama/ means to supernaturally gaze at an object externally or have an inspired appearance internally. Each vision usually has its own purpose, but one general purpose is that it inspires the beholder. When you are looking out for business planning, Mission statement and Vision statement are two basic things you should keep in mind. There are certain activities which you need to follow in your business activities in order to accumulate those great successes. If you are thinking to rise high just have a clear vision statement that will aspire your goals. To make it possible, you have to look at your present that is your mission statement. Basically, a mission statement is the reason for the company to exist, what it does. The vision statement, on the other hand, outlines what the company wants to be and what it plans for the future. It is as simple as - Mission is all about purpose - what do we do? Vision is about the future – what will be the overall impact of our mission be?